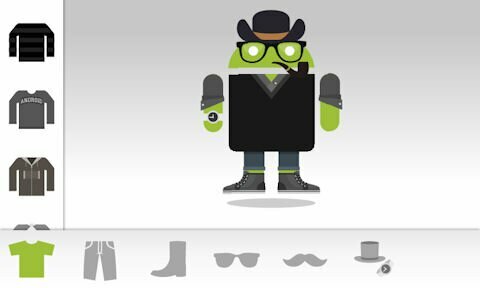 Google has just released a new app in the Market called Androidify that lets you build your own custom Androids. Via a surprisingly convenient interface, you can change your Android’s proportions; give it accessories, different hairstyles and beards, and the clothing of your choice. Once an Android has been created, you can share your automaton via Android’s Share with menu or save it to the Pictures/Androidify folder on your SD card. You can also store the Androids you create in the My Androids section of the app, which sort of is like a virtual catwalk. I spent a couple of minutes creating my own little Android army, and it was pretty fun actually. Androidify is created by Google Creative Lab in collaboration with Larva Labs – the developer of popular puzzle game Retro Defense. You can download Androidify in the Market and start creating your own band of bots, or visit the official website at Androidify.com for more info.